Unlike all of New York City’s flashy and well-known museums, this particular exhibition space is grungy, quirky and easy to miss. 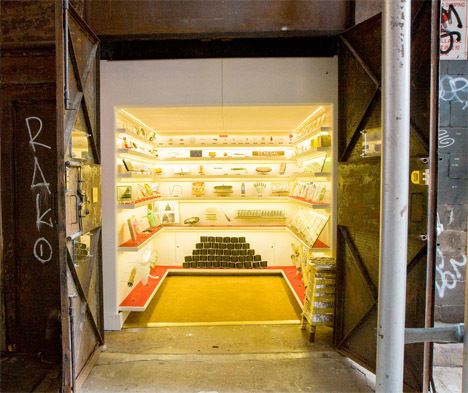 Located in an abandoned freight elevator on the edge of the Tribeca neighborhood in Manhattan, Museum measures just 80 square feet and is covered by a pair of unmarked, heavy iron doors when it’s closed. It contains collections of objects just as unconventional as the space itself. 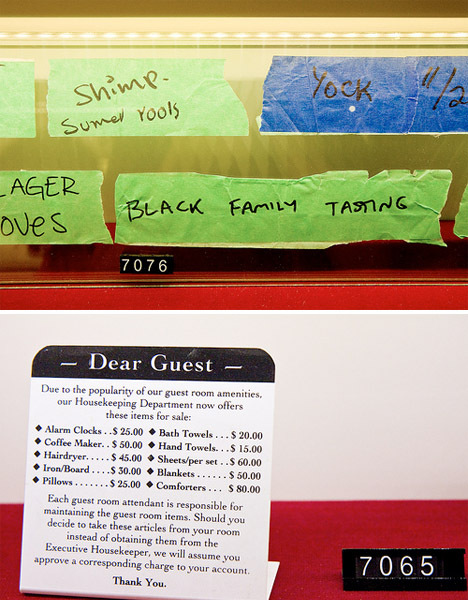 As stark and unfussy as its name, Museum is intentionally hard to find. It’s only open to visitors on the weekend, but you can peer through a series of viewing windows to get a look at the contents 24 hours a day, 7 days a week. Photographer Garrett Ziegler captured these images of the space and its humorous, oddball display pieces. 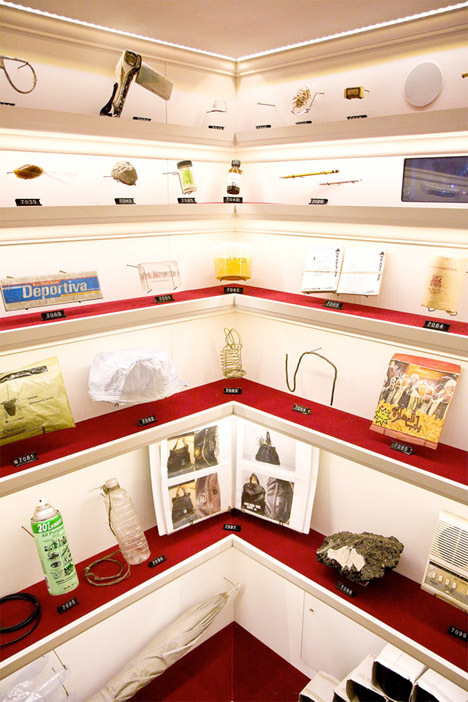 The Museum exhibits consist of urban curiosities, found objects and funny vintage items in addition to art pieces. Want to know more about a particular piece? 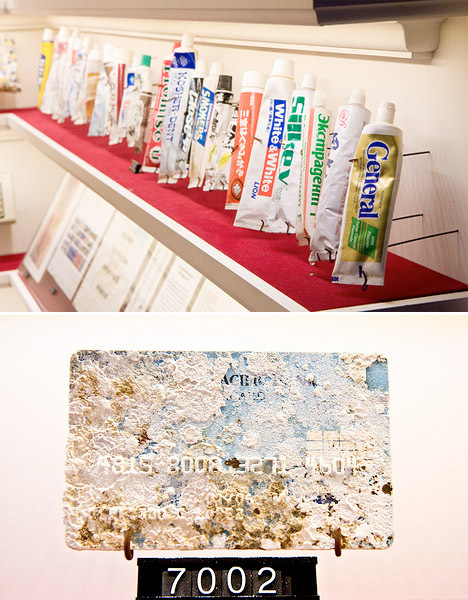 You can call a toll-free hotline (888-763-8839) and enter the item’s identification number (the exhibits change frequently, and are currently different than those pictured).